Bodhi Surf + Yoga is proud to be working in collaboration with three local non-profit organizations and to have helped form the Bahia Ballena Plastic Free Initiative. The initiative, which officially launched on Earth Day, April 22, 2017, aims to reduce single use plastics by targeting consumption itself, creating awareness about how plastics are negatively affecting our oceans and our land, and providing viable alternatives. On Earth Day, April 22, 2017 three non-profit organizations working in collaboration with the Bodhi Surf + Yoga Ocean Guardian Travelers’ Philanthropy program will launch the Bahia Ballena Plastic Free Initiative. The focus of Bahia Ballena Plastic Free Initiative will be based in the communities of Bahia and Uvita located at the footsteps of the Marino Ballena National Park, a high-profile coastal tourism destination, which hosts up to 170,000 visitors annually. “Plastic straws, plastic bags, bottle caps and cigarettes are the most common items we find during our beach clean ups”, says Travis Bays, owner of Bodhi Surf + Yoga, the first Surf and Yoga camp in the world to be B Corp certified. The initiative seeks to reduce single use plastic consumption, provide alternatives, create awareness about how plastics are suffocating our oceans, and provide viable solutions. Working together, Friends of Nature of the Central and Southern Pacific Coast (ASANA), Geoporter Costa Rica and Forjando Alas Youth Organization, will provide hands-on workshops and field exploration for youth in the local schools of the Bahia and Uvita communities located in the Osa country. Furthermore, there will be a plastic awareness campaign using events, media, and social media. “Over the past few years we have been working diligently in the Savegre Watershed on the Biosphere Reserve project and Path of Tapir Biological Corridor, plastic pollution is a challenge we all must solve”, says Andrea Herrera, director of ASANA. Additionally, the Bahia Ballena Plastic Free Initiative seeks collaboration with private and public stakeholders to reduce reliance on plastic in food and hospitality services. 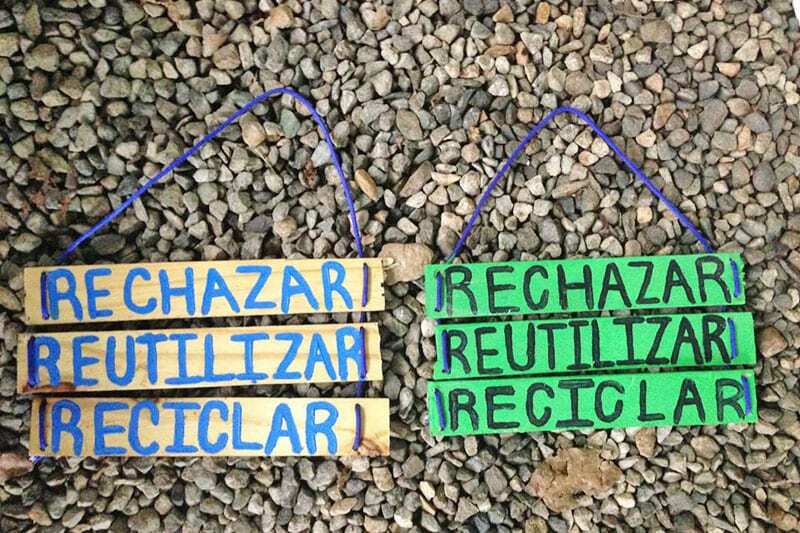 “The community of Bahia Ballena has always been innovative, in the past 5 years the community has been using GPS and SIG to better understand their solid waste challenges”, says Amy Work, director of Geoporter Costa Rica. A more engaged community working in partnership with visitors and residents to reduce single use plastics, reduction in plastic marine debris, the creation of a market for plastic-free alternative products and a best practices guide for other coastal communities are some of the long-term goals of the Bahia Ballena Plastic Free Initiative.